Why do we love Star Wars? Well there isn’t really an answer to that question, not a definitive one anyway. Some love it for the films, some the TV Shows, the comics, the books, the toys and much more. But it’s those toys that really helped put Star Wars at the top of the food chain. Back in 1977 when there was only one film there were only three ways to see it again; the first was to go to your local theatre and buy another ticket, the second was to dream about it every single night and the third was to re-enact it with your action figures. Ever since then Star Wars had lead the way with its dynamic merchandising choices, singlehandedly changing the game for every film released in the future and that hasn’t changed even now in 2016 almost 40 years later. 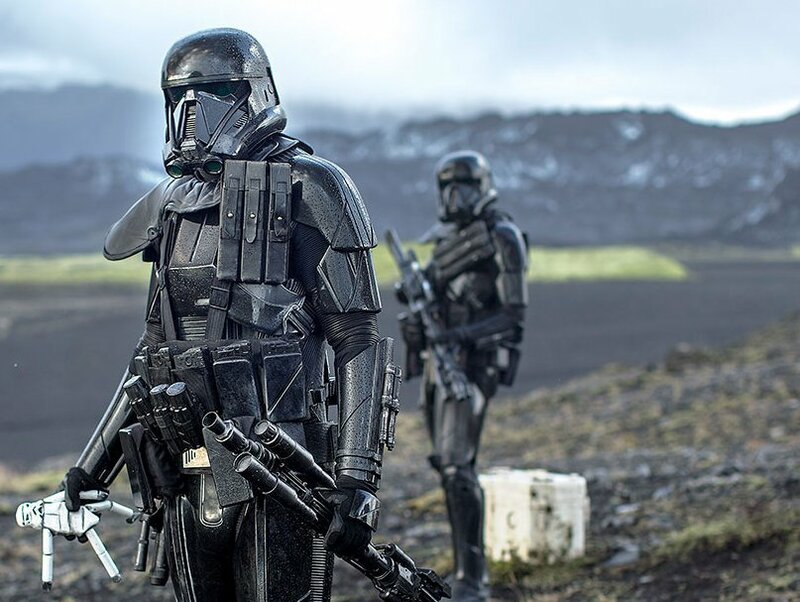 According to reports from TMZ, Lucasfilm has filed documents in Europe to secure rights to produce sellable merchandise relating to the title “Death Troopers”. That means kids everywhere will soon be dressed head to toe in Death Trooper gear and if their mum or dad is a fan of the ‘Star Wars Legends’ novel then they’ll be proud, otherwise they might just be a little concerned. What’s that? You don’t think it’s very apt for children (and adults) to be parading around as Death Troopers? Well, let me remind you a little something about the beloved Stormtroopers from both the Original Trilogy and the Sequel Trilogy. That name comes from Sturmtruppen, a type of specialist soldier from World War I in the German Army. So effectively by naming the foot soldiers of the Original Trilogy ‘Stormtroopers’ Lucas ensured that when teachers overheard conversations of you drawing the short straw on the playground so your best friend gets to be Luke Skywalker and you have to be a Stormtrooper, that they thought you were pretending to be an elite class of trench infiltrator in the Imperial German Army. So it’s not too dissimilar, although in the grand scheme of thing I think I would much prefer to hear of children pretending to be troopers of the storm than troopers of death, but they do seem to be growing up a lot sooner these days. So whilst the big question of “who are those awesome dark troopers from the Rogue One trailer” was answered in EW recently, it seems our second question of “can I get one of those on my shelf” has been answered in the filling of these documents. Though the question I still have is; will this trend of more sinister troopers continue? You may remember the Shadow Troopers experiencing the same thing happening earlier this year. Perhaps Cold Assault Stormtrooper, Scout Trooper, and Snowtrooper weren’t inflicting enough fear upon the galaxy so the Emperor had a little sit down with his publicist and together they devised ‘Shadow Trooper’ and now ‘Death Troopers’. Between now and the films December 16 th release we could hear of untold numbers of new, more evil sounding soldiers of the Empire. Dark Troopers. Doom Troopers. Gloom Troopers. 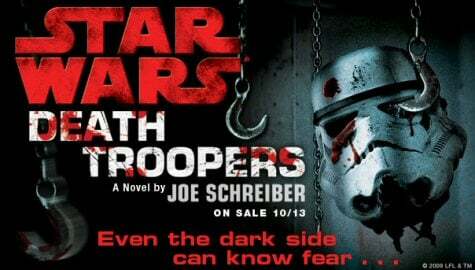 Murder Death Kill Troopers. Who knows? Given the scale of canon and the connected universe as a whole there is also the possibility that the Shadow Trooper will appear in Rogue One: A Star Wars Story alongside the Death Troopers and both could show up in another property later on, like Rebels, because nothing says The Home of Death Troopers like Disney XD! But with EA Games still holding exclusive rights to Star Wars game production (which can all be canon), they could even show up there, and Death Trooper sounds like it would be a great class in the next Battlefront and with Star Wars Celebration Europe just around the corner, we’ll just have to wait and see.